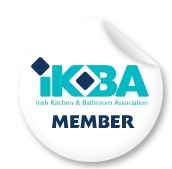 The Interiors Association and the IKBA have teamed up to bring you a Sketching Workshop on May 30th 2017 from 10:00 am to 3:00 pm at the Maldron Hotel, Newlands Cross, Dublin. Learn to convert your 2D plans to impressive 3D schematics with our 3D sketching workshop. As every experienced designer knows many people cannot visualise a space by reading a 2D plan. Humans think and design in 3D. With the right knowledge and a little practice you can produce an easy to read 3D sketch in 3 to 5 minutes that will clearly convey your ideas to a prospective client. A good sketch produced while the client looks on can facilitate clear communication, build rapport, increase a designer’s credibility and will ultimately lead to more sales! At our workshop you will learn how to sketch from both one and two point perspective. You are welcome to bring along any current plans you are working on and watch them come alive. Please bring along a ruler and a 2H and 2B pencil (or any pencil and a pen). This is a skill for life that is rewarding to learn and will greatly improve your ability to communicate with clients. It’s also a neat party trick!